Webinar Announcement: "How To Research Judges (and other public officials) Using Public Documents"
On March 4, at 2 pm CT, I will be hosting a webinar on how to research judges using publicly available documents. As so many individuals have now been impacted by judges who do not attend to nor honor the law, it is fundamentally important that these research methods be in as many hands as possible. The core perception informing this research is that if a judge knowingly violates an individual’s rights and statutory law, he is most likely not doing so out of personal animus or vengeance. Most likely, the judge is being remunerated for his behavior. It is the goal of this research tool to find indications of such pay offs as well as other indications of inappropriate and legally unacceptable activity. To date, this research has resulted in inappropriate arrest warrants being nullified and questionable fines being negated. Judges have also stepped down from cases when questions were raised as to what was found out about their activities due to this research. The initial article, discussing this original research, was published in the San Bernardino County Sentinel and can be found here. The fee for the webinar is $60.00 US. If you register before February 20, the fee is only $50.00, payable via PayPal or Western Union—Moneygram. There are a limited number of scholarships available for those who cannot afford the fee. Please contact me via FB or email ([email protected]) or telephone—541 708- 3534 to register or for more information. 5 Comments on "Webinar Announcement: “How To Research Judges (and other public officials) Using Public Documents”"
Hope you get a bunch of takers. It would be nice to hold judges to the letter of the law. Would be interested but I live in the boondocks & have very expensive limited bandwidth. Will you be offering transcript or dvd? Very possibly the seminar will later be available online. I have been approached by some website owners who wish to make the recording available for a fee. Nothing confirmed as of yet. Guardianship abuse is a real problem in the United States. But Janet Phelan isn’t being honest about herself, and I would sincerely warn anyone reading this, or any of her other articles, to be forewarned about Janet. Janet has a cover-story of being abused by U.S. intelligence services (hence, she claims, this is why she lives outside the United States). That might be true, but if it’s true, then why does she lie (by omission) by refusing to discuss the fact that her Dad worked as an FBI informant when he was a journalist? 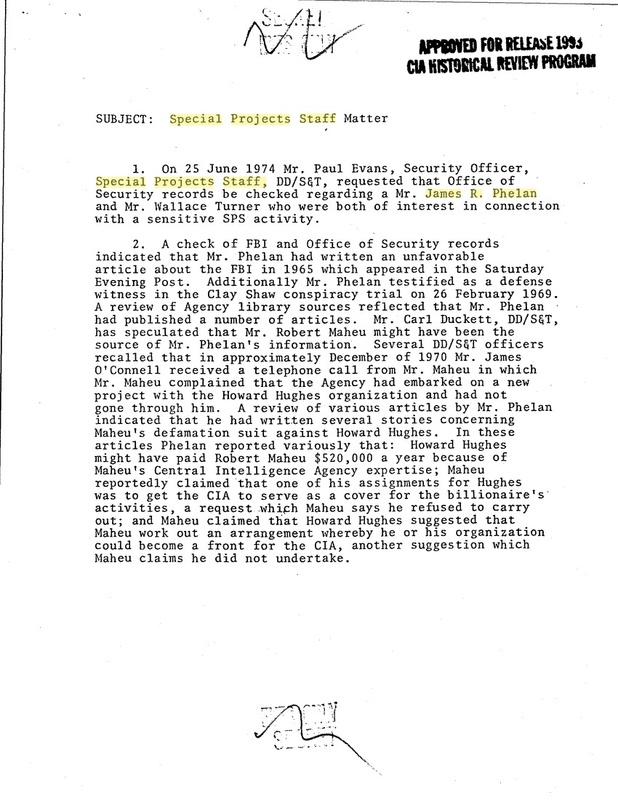 When it’s part of FBI FOIA files? 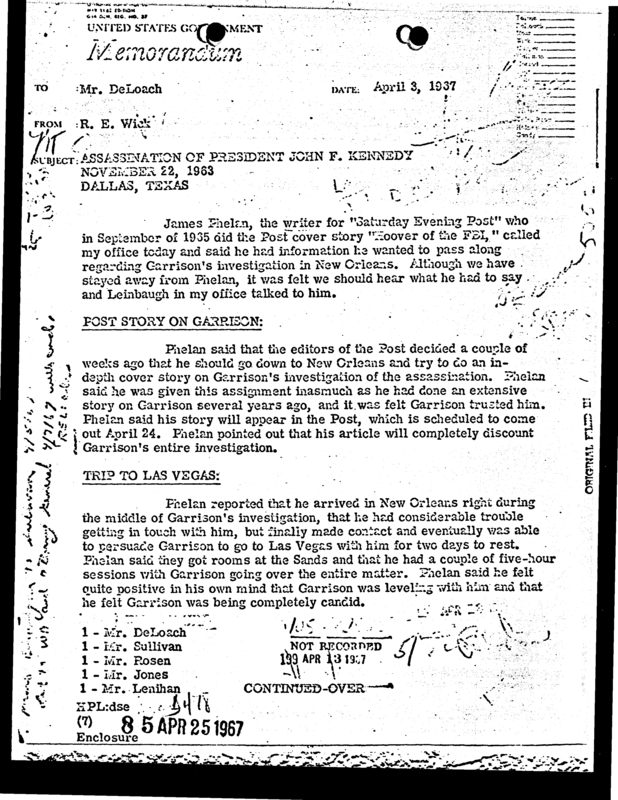 Janet Phelan’s Dad was reporting to the FBI when he was reporting on the Jim Garrison case (the JFK case). 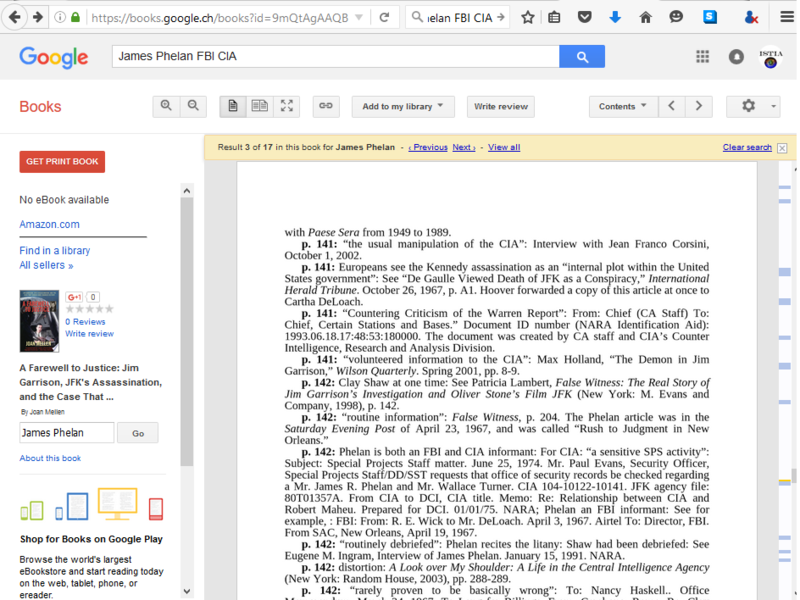 Janet herself was interviewed by CIA researcher Hank Albarelli in his book “a famous mistake”. Janet and her mom gave directions to Albarelli to find the possible murderer of Frank Olson: Jean-Pierre Lafitte, who was a family-friend of the Phelans. 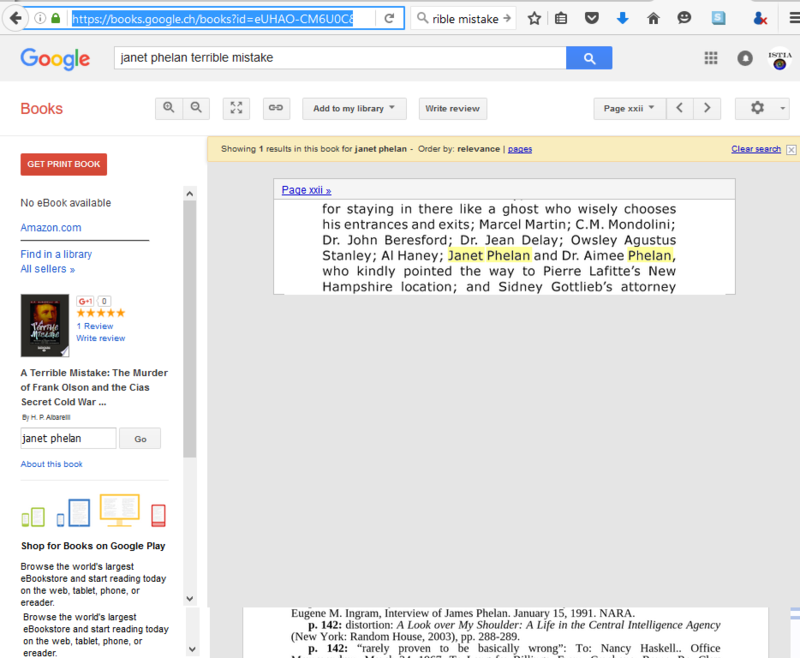 Patricia Lambert, who wrote the principal book refuting the Phelan/FBI links turns out to be…. Janet’s godmother, i.e. Janet’s entire family was involved in all sorts of shady, thinks and now Janet is involved in purported activism and purported assitance to people who harmed by guardianship procedures. Caveat emptor, when dealing with this woman, with your serious guardianship story.